In today's modern higher education environment, it's more important than ever to maintain constant vigilance over your entire campus. Additionally, keeping the local community aware of the various changes and improvements you're constantly making to your campus can also be a challenge. It's no surprise that communication breeds peace of mind, safety, and security. 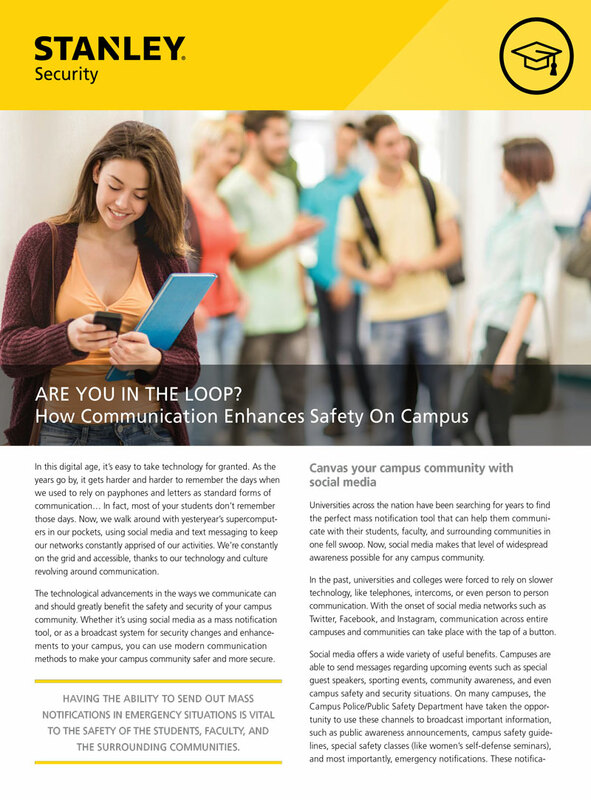 To help you make your campus safer than ever, we've written a brief article that shares best practices and tips for using various communication tools to help you improve the ways you interact with your campus community.